Sandra Lagén received the Telecommunication Engineering degree, the Master’s degree, and the Ph.D. degree from Universitat Politècnica de Catalunya (UPC), Barcelona, Spain, in 2011, 2013, and 2016, respectively. From 2010 to 2011, she was with Abertis Telecom, Barcelona, as an internship for projects related to infrastructures for surveillance and smart cities. From 2012 to 2017 she was a research assistant in the Signal Processing and Communications group at UPC, where she carried out her Ph.D. thesis “Coordination Strategies for Interference Management in MIMO Dense Cellular Networks” thanks to a Spanish Ministry of Education grant (FPU). At that time, she participated in two FP7-ICT projects funded by the European Commission (FREEDOM and TROPIC) and a collaborative project with Huawei on flexible duplexing for 5G systems. In 2015, she did a research appointment at Nokia Networks and Aalborg University in Aalborg, Denmark. 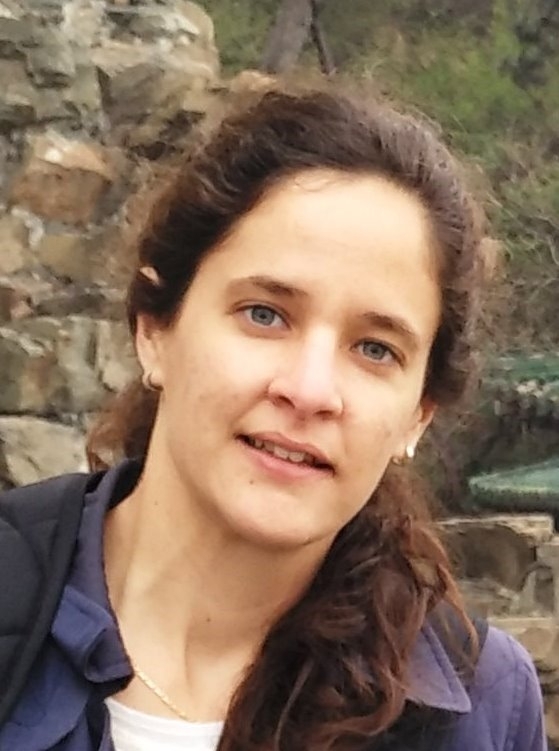 Since 2017 she is a Researcher in the Mobile Networks Department of the Communication Networks Division at CTTC, where she is participating in a collaborative project with InterDigital on 5G NR and NR-U design for mmWave bands and coexistence studies with other technologies in unlicensed spectrum. In 2017, she was awarded by COIT the best national Ph.D. thesis on high-speed broadband mobile communications, sponsored by Orange. Also, in 2012 she was awarded by Red.es the best final project in Telecommunications Engineering in the area of Information Systems, and in 2013 by COIT the best national Master Thesis on Analysis and Optimization of Wireless Networks, sponsored by Ingenia Telecom. She is the recipient of the IEEE Wireless Communications and Networking Conference 2018 (WCNC18) best paper award. She has two patent applications filed and has participated in several contributions to 3GPP-LTE. Her main research interests are in designing and analyzing wireless network protocols with emphasis on cross-layer optimizations, especially with PHY and MAC layers, for multiple bands and shared/licensed/unlicensed paradigms. S. Lagen, A. Pascual-Iserte, O. Muñoz, J. Vidal, Energy Efficiency in Latency-Constrained Application Offloading from Mobile Clients to Multiple Virtual Machines , IEEE Transactions Signal Processing, Vol. 66, No. 4, pp. 1065-1079, February 2018. S. Lagen, A. Agustin, J. Vidal, J. Garcia, Performance analysis of feedback-free collision resolution NDMA protocol , EURASIP Journal on Wireless Communications and Networking, No. 45, February 2018. S. Lagen, A. Agustin, J. Vidal, Efficient Use of the Spectrum in Small Cell Deployments for 5G Wireless Communications Networks , Frontiers in Science and Engineering, Vol. 7, No. 1, February 2018. A. Agustin, S. Lagen, J. Vidal, O. Muñoz, A. Pascual-Iserte, G. Zhiheng, W. Ronghui, Efficient use of paired spectrum bands through TDD small cell deployments , IEEE Communications Magazine, Vol. 55, No. 9, pp. 210 - 217, September 2017. S. Lagen, A. Agustin, J. Vidal, Joint User Scheduling, Precoder Design and Transmit Direction Selection in MIMO TDD Small Cell Networks , IEEE Transactions on Wireless Communications, Vol. 16, No. 4, pp. 2434-2449, Apr. 2017. S. Lagen, A. Agustin, J. Vidal, On the Superiority of Improper Gaussian Signaling in Wireless Interference MIMO Scenarios , IEEE Transactions on Communications, Vol. 64, No. 8, pp. 3350 - 3368, Aug. 2016. S. Lagen, A. Agustin, J. Vidal, Coexisting Linear and Widely Linear Transceivers in the MIMO Interference Channel , IEEE Transactions on Signal Processing, Vol. 64, No. 3, pp. 652 - 664, Feb. 2016. S. Lagen, A. Agustin, J. Vidal, Decentralized Coordinated Precoding for Dense TDD Small Cell Networks , IEEE Transactions on Wireless Communications, Vol. 14, No. 8, pp. 4546 - 4561, Aug. 2015. S. Lagen, A. Agustin, J. Vidal, Network-MIMO for downlink in-band relay transmissions , EURASIP Journal on Wireless Communications and Networking, Feb. 2013.